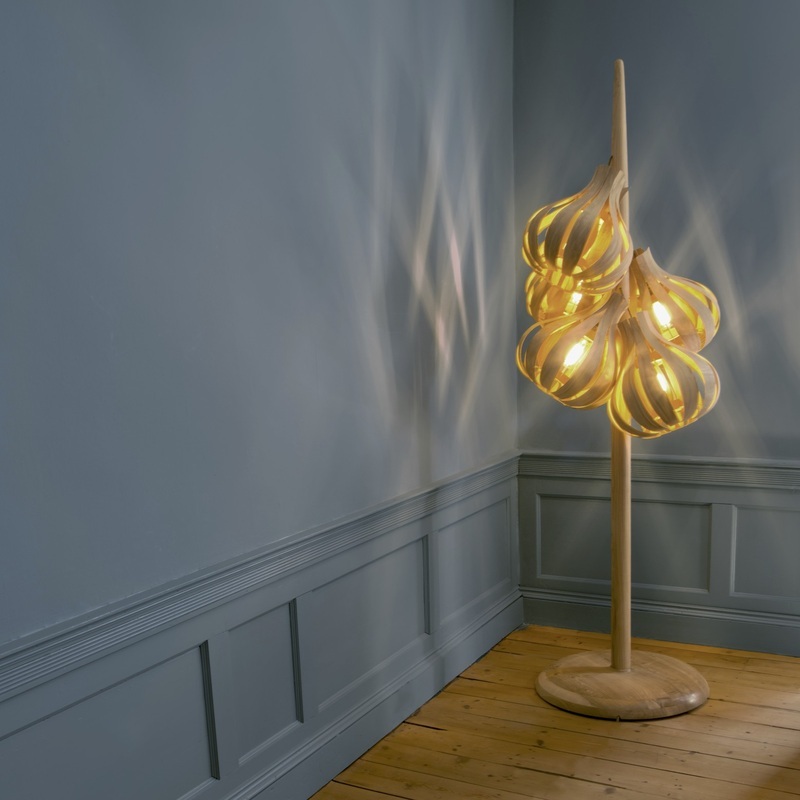 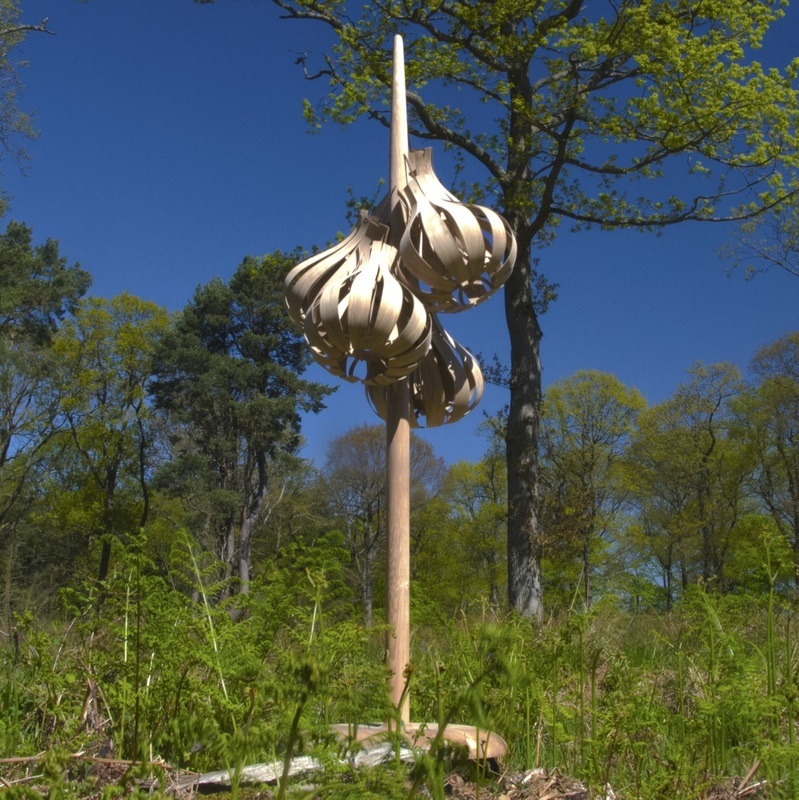 Inspired by the form of a string of onions, this striking standard lamp stands 2.3m high and is made from solid and veneered olive ash with a wax finish. 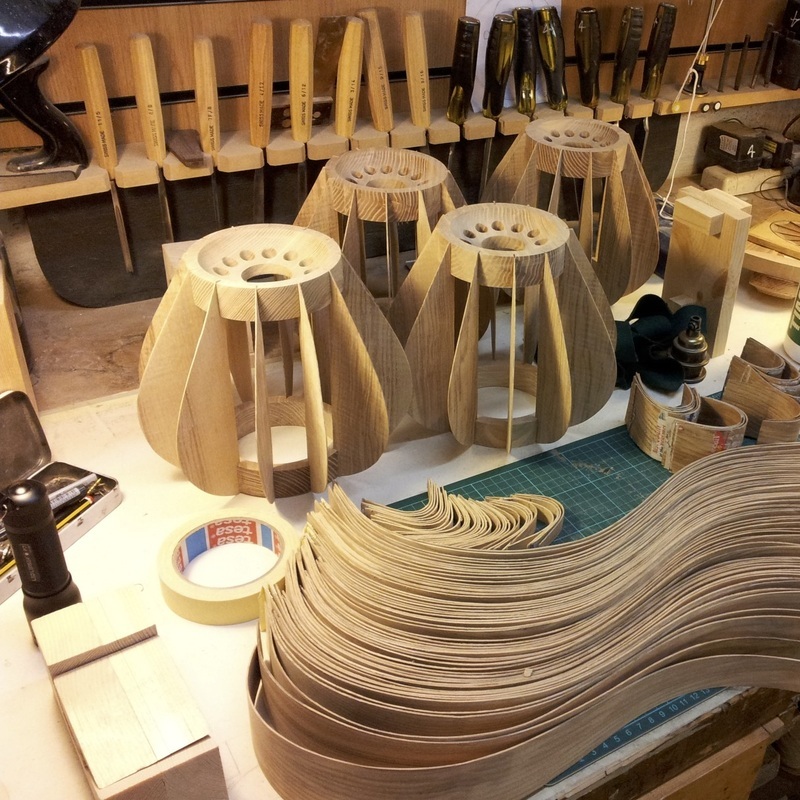 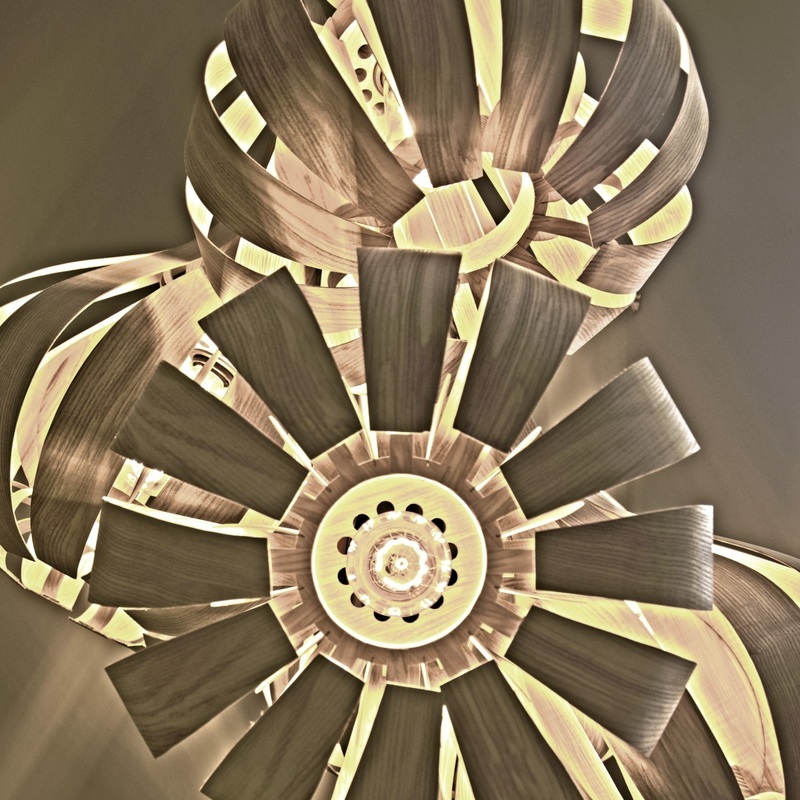 Each lamp shade contains 48 veneer components constructed around turned solid olive ash supports. 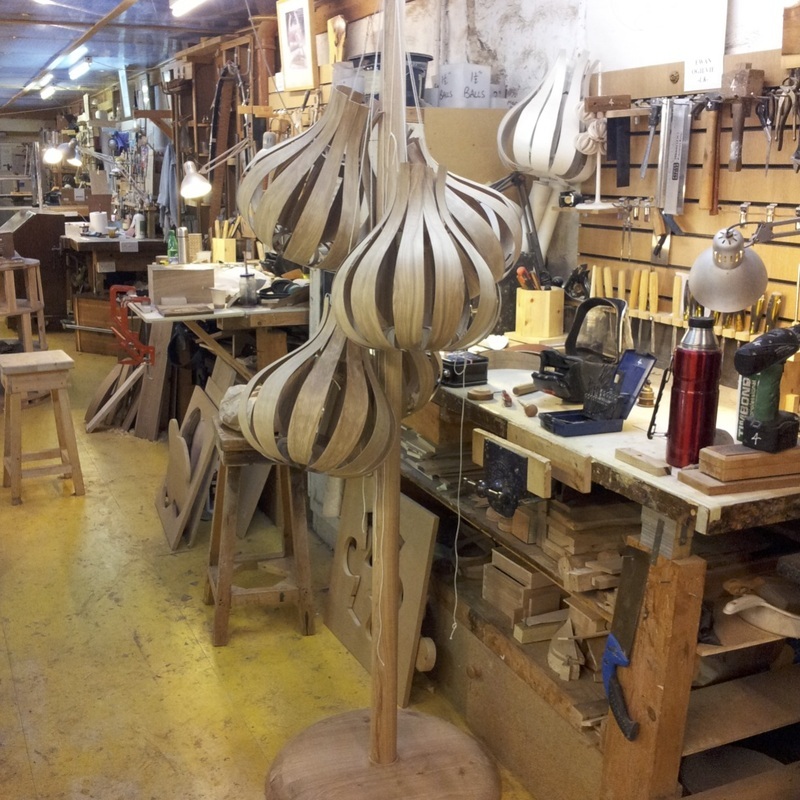 The pole is turned into a taper from a single length of olive ash attached to a large solid olive ash base.